For over 40 years, MHD Supply Chain Solutions magazine has been bringing its readers leading-edge supply chain management information from the world’s leading thinkers and practitioners, together with in-depth case studies and the latest innovations in equipment and software. 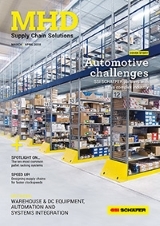 MHD Supply Chain Solutions is published bi-monthly. 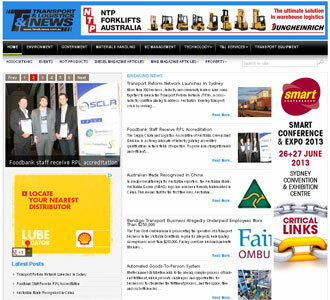 Transport and Logistics News (www.tandlnews.com.au) is the leading news website for logistics, supply chain and freight transport in Australia. It offers readers the latest transport and logistics news and information on companies, government and industry, as well as access to white papers, industry associations, event listings and an international job search and placement service. With a home page of breaking news, Transport & Logistics News includes easily searchable news archive sections organised by familiar industry themes. A free bi-weekly e-newsletter is also published, aimed at keeping industry personnel up-to-date with changes to their industry – subscribe.